Berry Plasman, or as he’s also known; Beee has been active in several sports throughout his life. As a kid he did gymnastics for 17 years, he did inline street/vert and some snowboarding, which seriously damaged his knee and left him with a plate/screws in it. 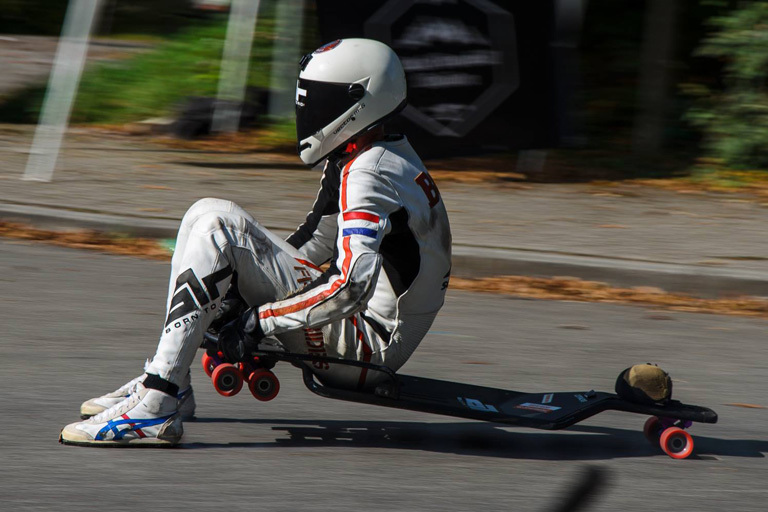 After he recovered, he got into longboarding and through that into downhill racing in the form of street luge. The first run he did on a small Dutch hill was a life changer. He immediately ordered the best luge he could get his hands on and went of on a 3 week Euro trip to ride in Slovenia (KNK) and Switzerland (CH). After crossing that 100 km/h mark for the first time (see video here), he knew this addiction was a permanent one. He has traveled all over since then, in search of the nicest and fastest mountain roads. In 2013 he started doing his first World Cup races under the newly formed IDF (International Downhill Federation), where he ended on a respectable 6th position. In 2014 he attended even more races, including the US and Canada where he made it to the finals but missed the podium by only a few meters (see the video here). A severe crash in the Czech Republic kept him from racing so he missed out on points to improve his current position. He wanted to see if he could travel to Peru or South Africa to be able to get more points and improve his ranking, but another ‘wish’ came true. 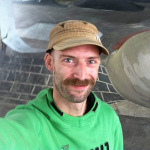 He was going on the road throughout Europe for 4 weeks for the Dutch (ice) luge team, which made it impossible to do any more street luge races. 2015 was a slower year, race wise. He didn’t race but supported the IDF as an official rep on events in Norway, Spain and the Czech Republic. 2016 was a similar year. Just some freerides and representing the IDF at events in Norway, Austria, the Czech Republic and Germany. 2017 was an IDF season again. I went to Austria, the Czech Republic and Russia.